Regarded worldwide as one of the leading professional services networks, the last two years have seen RSM vastly increase its management consulting services in Ireland, allowing the firm to play its part in the reshaping of the country’s public services. Odrán Waldron spoke with head of management consulting, Catherine Corcoran, about the fusion of the public and private sectors, human resources and the future of work. “First things first: we have to look at where we are with Brexit approaching and all that entails,” Corcoran says from RSM’s office in the Triangle area of Ranelagh, Dublin. “The centenary of the State and this new post-austerity impetus has the country driving forward again and Project Ireland 2040 is a key exemplar of that. Project Ireland 2040 is the Government’s overarching initiative for Ireland’s future that has 10 proposed strategic outcomes, including enhanced regional accessibility, strengthened rural economies and communities and the transition to a low carbon and climate resilient environment, with sustainable management of water and other environmental resources. Such change is widespread and ambitious, and the public sector will be key to its delivery, says Corcoran: “The public sector has an utterly crucial and central role to play. The Department of Public Expenditure and Reform’s Review of Barriers to Extended Participation in Public Service Workforce report, published in November 2017, predicted that there would be 10,000 retirements in the Irish Civil Service over the next decade. It is against this backdrop that Ireland “needs to invest in pipeline, future leaders”, states Corcoran. It is not just in people that the public service will see monumental change, Corcoran asserts: “Technology is an issue, the world of work is changing. More than anything we need to be able to measure the contribution of business to the country.” Within the ever-changing workplace, management relationships with employees have inevitably changed too, a change that RSM and Corcoran have facilitated first-hand. Corcoran is aware that HR strategies can sound as if they are based on technicalities and a strict adherence to process, and she says that RSM is constantly stressing to clients that “any strategic human resources planning must include an integrated approach to talent management, workforce management, performance management and learning and development” and that the “people agenda needs to be aligned to the business needs”. With over 25 years’ experience in HR, she has witnessed a sea change within the sector, whereby the needs of people have gradually become the most important aspect of the job. “It was very much all about the delivery of policies and procedures when I started,” Corcoran remembers. “If I was to say anything about HR it’s that people must stand in front of you and your policies and procedures behind you. Constant calls by those unfamiliar with the processes and structure of the public sector to simply adapt the mechanisms of the private sector do not help either. Corcoran says that “applying private sector principles clumsily in the public sector can be counterproductive. I think if the sectors came together a little more and shared the best of both worlds, that would be a potent catalyst for change. As part of its management consultation service, RSM also offers a comprehensive dispute resolution service. The company has a three-pronged approach of education, mediation and investigation and they are currently being deployed in both the public and private worlds. In a perfect world, such services would not be needed, and potential clashes would be nullified at their roots. This is a world that Corcoran and her management consulting team are doing their bit to create. “We do a lot of preventative training in terms of respect and dignity and we’ve trained many different government departments in relation to protected disclosures and how to manage them and create awareness within public sector departments,” Corcoran reveals. “We also mediate rather than investigate wherever possible. We do what’s necessary to deliver solutions to difficult problems within the parameters of the policies and fair practice. Any company working within the broad field of human resources, essentially addressing the concerns of people within the context of work, will eventually have to deal with fears about where the future of work, a future that has never looked so uncertain amidst automation, deregulation and climate change, lies for employees. Addressing these fears is something that will have to be done at the local level, especially following the aforementioned report into the prospect of automation in Ireland, which localised the projected effect and studied the widespread Irish towns that were likely to be worst hit. Through their work within the public realm at various levels, including providing HR support to the Citizens Information Board and assisting the National Transport Authority (NTA) with their strategic and operational HR including their recruitment processes, RSM has a keen understanding of the landscape within the sector. 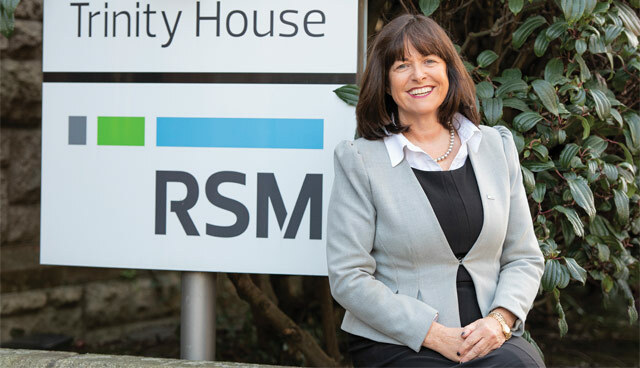 It is an approach that has benefitted RSM and seen them grow their employment numbers in Ireland, with the company now employing an estimated 185 people between Birr, Dublin and Portlaoise, a total growth of 25 per cent since 2017. 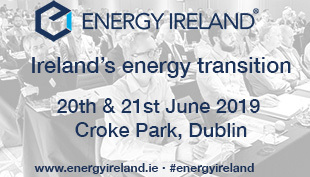 Revenues have also increased by over 40 per cent in the last two years to circa €22 million. A new graduate programme, bringing nine new management consulting graduates into the company has been started. Corcoran’s management consulting sector has grown exponentially in that time, from 14 people to 53 between January 2017 and February 2019. She says that this growth has allowed RSM to “reconfigure existing service lines and introduce new ones to have a multidisciplinary lens”. Amidst rapid change in their own and in every workplace, it is RSM’s people-led approach that has garnered their reputation as a leader in the industry. “People like us because our value system reflects their value systems and because we appreciate the public service,” Corcoran states. “We won’t do a job if it doesn’t meet our longer-term aim for making a difference,” she concludes. with her family and breakfasting with friends.